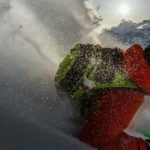 Join this team of IFMGA mountain guides and live a 4-day freeride and freetouring program in Gressoney. 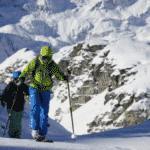 Reach up to 6,000 vertical meters and enjoy exciting ski touring itineraries and powder runs. 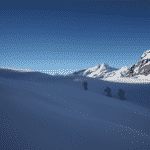 Let’s enjoy 4 days of pure freeride and freerando in the region of Gressoney. 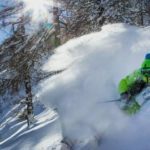 Gressoney, on the south side of the Monte Rosa Massif, is the gateway to the freeride paradise for many skiers and snowboarders. That is because it has something for everyone. In fact, the skiing options in Gressoney, Alagna and Champoluc are endless. With some short hikes, which can be done by skins or by foot, we will increase a lot the potential for powder runs. 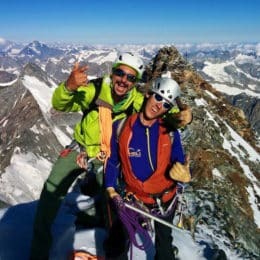 And of course, you will have the best mountain guides at your disposal looking for the most suitable snow conditions and putting safety as a priority. The best period to come to Gressoney and enjoy these incredible freetouring itineraries is from December till early March. We can lead groups of no more than 5 participants per guide. However, we can also organize a tailor-made program for a smaller group. Regarding the technical requirements, participants must be safe off-piste skiers in all kinds of terrain. A good fitness condition is also mandatory. As for our accommodation, we can offer you a warm and comfortable 3-star hotel in Gressoney Saint Jean. The hotel Lyshaus provides cozy double rooms with buffet breakfast included. In the evening, the kitchen offers a variety of local and international meals. So, what are you waiting for? 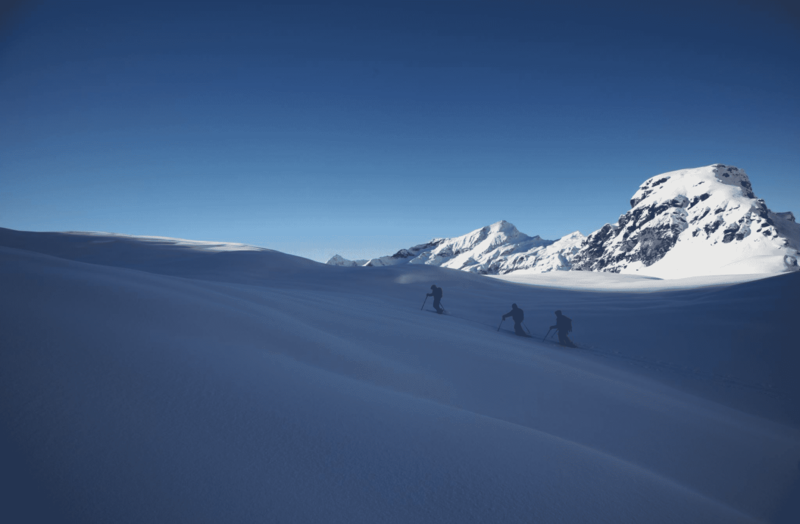 Contact us now and let’s conquer the wildest corners of Gressoney with the help of professional mountain guides! We will meet in Gressoney at 17:30 in the hotel. Welcome meeting with the guide, preview of the program for the next days, material check and afterwards dinner. We will have a flexible program since it depends on the snow, avalanches and weather conditions. The guide will choose the best posibilites for each day. After the last skiing day you will return the rented equipment and travel back home. - Group equipment (ABS backpack and safety equipment) must be reserved at least 2 weeks prior to the event. The price also includes special renting prices for ski and snowboard equipment. - Not included in the price: lunches, drinks, lift ticket for Monte Rosa Ski Resort and transfers. We always recommend trip cancellation insurance, baggage insurance as well as travel and accident insurance.